A majority of people feel that a room's decor can positively or negatively affect their mood. Making simple changes like adding an art inspired lamp can make a big change in your mood. 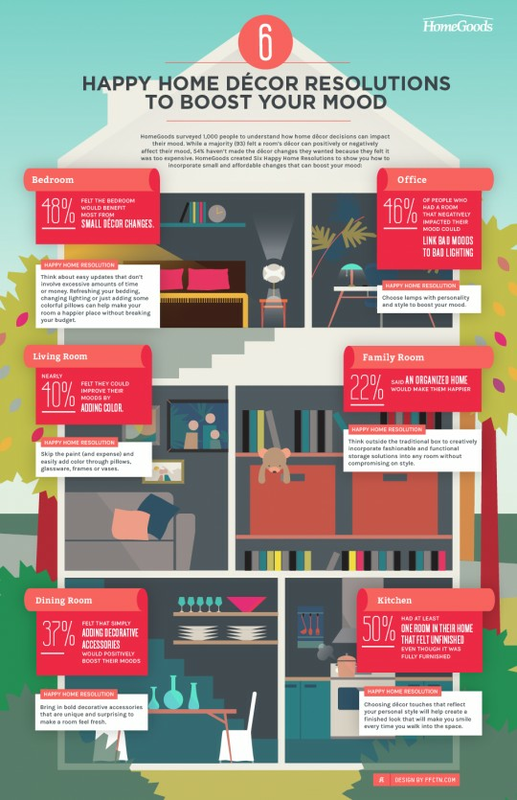 This handy infographic from Homegoods shows you how to incorporate small and affordable changes into your home decor that can boost your mood.